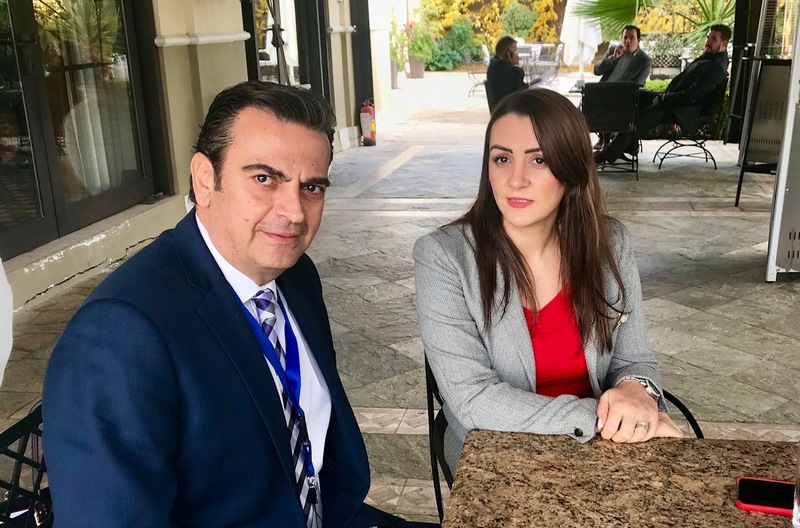 In an exclusive interview for Albanian Free Press and Independent Balkan News Agency website Deputy minister for Europe and Foreign Affairs, Artemis Dralo comments the latest political developments in Albania and the region. In the interview that Mrs. Dralo gave this weekend in Thessaloniki to the publisher of Albanian Free Press and founder of IBNA, Spyros Sideris, she talks about the process of integration of our country in the European Union, stopping on the date for the launch of negotiations, but also on the meeting which is expected to take place with Tsipras and the agreement that the sides will sign. Sideris: Mr. Dralo, the fourth meeting of the ministers of Greece, Albania, FYROM and Bulgaria took place here in Thesaloniki. How do you see this cooperation continuing and progressing to promote the interests of the four countries involved? Dralo: First of all I would like to congratulate Mr. Kotzias for this very formal and fruitful cooperation. It is very important for the three countries that were invited by an EU member-state as friendly as Greece, to have such cooperation at a level that is not just bilateral, but also impacts on the wider region. Today’s meeting, which is the fourth one, is very important, not only because it gives us an opportunity to express and propose various ideas for cooperation and projects for the future. The most important aspect, naturally, was economic cooperation between the countries, securing peace and avoiding every risk in the cross-border projects. Sideris: Can we specifically elaborate on some programs discussed today that will be added to the agenda? Dralo: The first phase of this meeting was of course more generic. It involved all four states, which means we did not go into details, but gave emphasis on the closer, bilateral partnerships. The financial agreements that are traditional between strategic partners were of special importance. Many partnerships and investment comes Albania’s way from Greece, Bulgaria and other states of course, which have given the economy – and the wider region – a great boost. The issue raised by Mr. Nikola Dimitrov regarding cooperation at academic level, which involves cooperation between universities, academics, students, etc. We know very well that the Erasmus program has helped many students, not only through the experience they brought back to Albania, but also in terms of opportunity to study in more developed places, which led to them helping their country afterwards. On this level, possible partnerships with other companies were discussed. Sideris: Relations between Greece and Albania went through a crisis recently. How do you see the continuation of efforts to overcome problems? Dralo: Personally, judging from my position in the Albanian government, I believe as with any other country, since we don’t have any specific results ant talks are ongoing, we cannot judge whether various agreements that mutually benefit the two countries are pending. I personally believe, as a member of the Albanian government but also a representative of the Greek minority in Albania that my position is very delicate; but I am also very proud to have been given this opportunity by the Albanian government after many years. Sideris: This is important and I believe there should be wider cooperation between the minorities that may exist in the region, because the Balkans are surely a difficult region for them. […] However, recently we’ve seen tension between Kosovo and Serbia. Kosovo recently announced it is increasing duties by 8%, sparking an economic war. Your ties with Kosovo are especially close. Can you tell me how this issue could be overcome? Dralo: Albania has and will always support and help Kosovo. Of course Albania feels this help is a rational assistance. On the other hand, I think neither the state of Albania nor myself personally can decide and determine the relations between these two countries, which have a history. We must always look to the past in our judgements and view of the future of the two countries. We must look at relations based on history, which we can no longer change nor judge. This applies to other cases too, not just this specific one. Sideris: The Balkans are a difficult region in general. What do you think can help solve existing problems, not just between Kosovo and Serbia, but generally speaking? Can solutions and agreements such as the Prespes Accord help in this respect? Dralo: Of course. Certainly, as long as good will exists, leaders must be willing to progress and treat each other equally and fairly. I believe there are more things uniting us than there are dividing us. I also see the minorities in these countries as a bridge for communication, which can help improve interests and cooperation to the benefit of both states and minorities. Sideris: So, you are optimistic about the future of the Balkans?